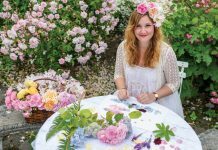 In a journey that reads more like a novel than a business plan, Pandora de Balthazár has followed her heart from a bucolic childhood in the Deep South, across oceans to distant palaces, and back home to discover her true purpose. A custom linen headboard provides a serene backdrop for a mix of delicate bed covers. Giving the boudoir accents of seasonal color is as easy as exchanging lengths of ribbon. The company’s in-house seamstresses combine favorite images and seventeenth- and eighteenth-century letterforms to create bespoke monograms, executed with multicolored, padded, or even metallic stitchery. 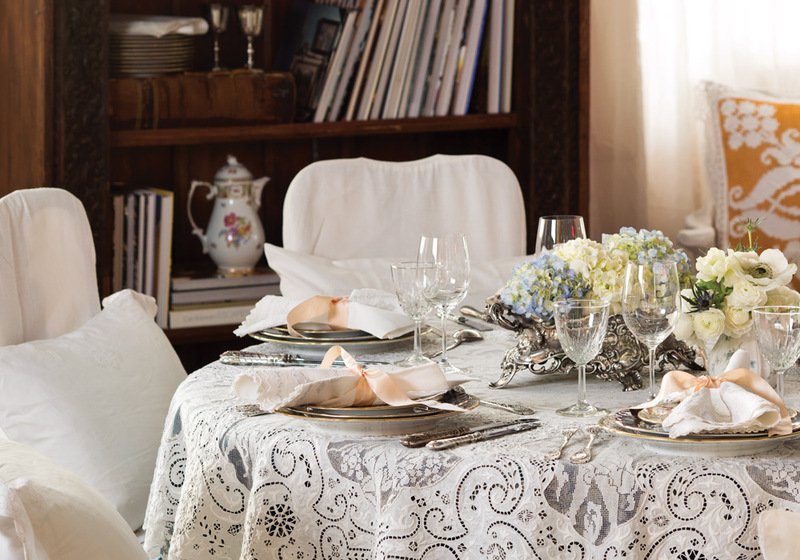 A circa-1840 handmade Swiss tablecloth enhances this elegant setting. Fine stitching, perfectly designed portraiture and cutwork, and filet-lace edging make a gracious statement for entertaining. These alabaster napkins feature Appenzell embroidery–a style of whitework that originated in Northeast Switzerland and includes openwork backgrounds, floral motifs, and occasionally figurines. 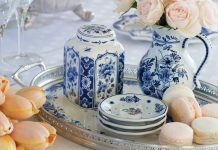 To read more about Pandora’s beautiful collection, see “Of Rest and Restoration,” in the January/February 2015 issue of Victoria magazine. one arrives. Have to stop whatever I’m doing to look inside. We are so excited to preview the photos taken of our beautiful linens, and to read the story in Victoria Magazine. We live with these beautiful things every day, as do our clients, and our lives are enhanced by a more graceful life. Feel free to inquire or even come to visit us and seek this environment for yourself and those you love. Wishing you all a life of great health and happiness, we wish you a very Merry Christmas & a Happy New Year! Thank you Victoria Magazine for publishing our beautiful things, the sharing of a gracious lifestyle combined with attention to slumber, restoration, and renewal is an exciting beginning for everyone! Blessings for a wonderful holiday season and a fantastic 2015!!! Victoria magazine has been my favorite “treat” to me for many many years..starting in the 1970’s..It is definitely a feminine escape to luxurious, dignified & artful living!! Love, love, love this magazine!! Every women’s treat to savory the recipes,design & crafts so tastefully put together & displayed so romantically. Thanks Victoria editors for such a gift to women! 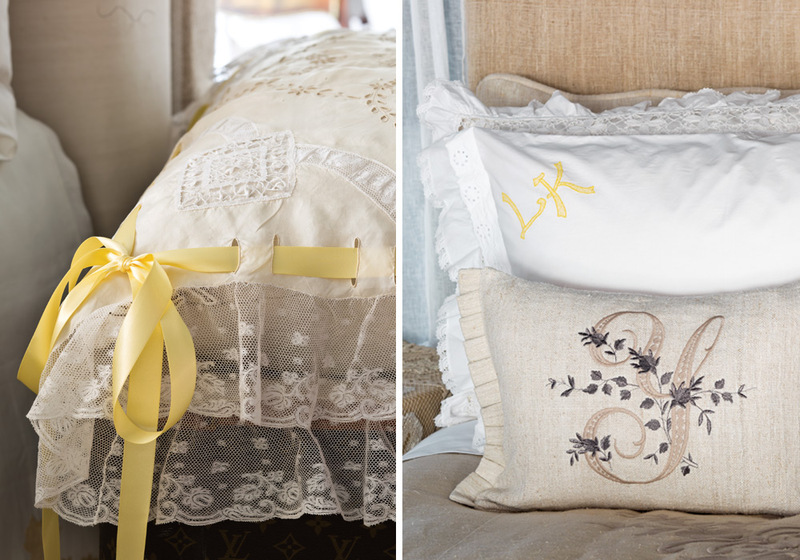 Would like to know if the antique lace pillow shames are available for purchase, the smaller ones if available! Such Beautiful, wonderful estate jewelry. Old settings with orange leaves, florals, sparkly gemstones, just wonderful! Antique jewelry is my passion and has been since I was a young child. Sometimes, I love the settings even more than the actual gemstones. I have been remiss in not subscribing to Victoria Magazine, for some time. Your wonderful articles, photographs and the fabulous advertising (especially Van Atkins) makes me remember how much I need this type of charm in my everyday life. Please do a story on the VanAtkins family store in MS. I would love to read more about what they do and how they choose their antique pieces. It would make a super great story. They are located in New Albany, MS. I would love to read more about their estate jewelry. I was really feeling blue and down one day, when I came upon the Jan/Feb. issue of Victoria Magazine. 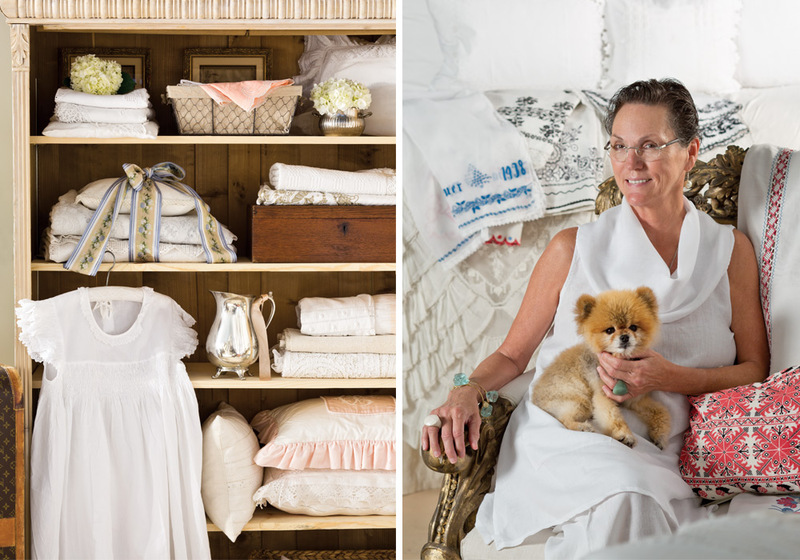 Ms. de Balthazar’s wonderful linens shop story gave me inspiration, and a happiness that I was not feeling that day. The beautiful linens, the ribbons and laces just boosted my spirits and lifted my mood. I am located in the frozen Northeast and planning to move South in 2015. I know that I will be visiting this shop, soon. I can feel it! How can I resist “Pandora and Balthazar”? I was looking today at Shabby Chic and found that there is “very little” available? I try to buy “always” “Victoria”. 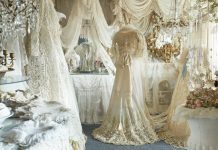 Linda Norris finds “Inspiration” from Ms. Balthazar’s linens? 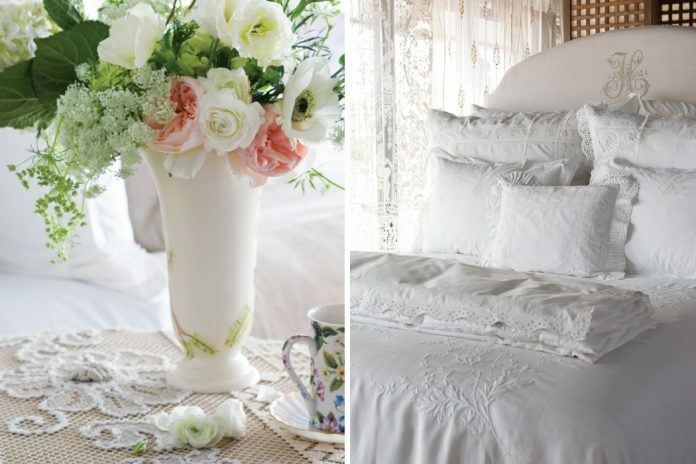 I find that I “love” antique linens-I used to collect them. My grandmother used to “crochet” edges on them. My grandmother used to say, that a well crocheted pillow case lasts a lifetime(and makes a marriage)? I learned to do this as a little girl.